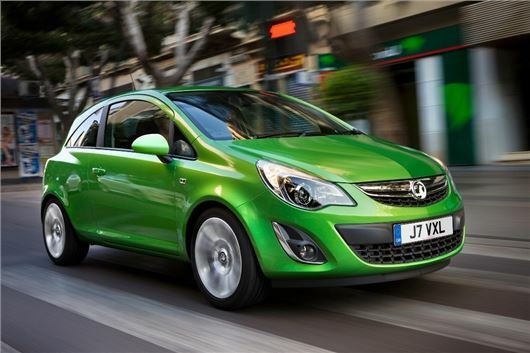 UK Car Discount is offering the following savings on the Vauxhall Corsa range, brand new on a 14-plate. Lifetime warranty on all Vauxhalls. All cars are UK dealer supplied with full warranty and free delivery in mainland UK. The 2014 new Vauxhall Corsa SE features air con, 16-inch alloy wheels, automatic lighting control and windscreen wipers, front fog lights, heated front seats, sports instruments, cruise control, and 60/40 folding rear seats. The 2014 new Vauxhall Corsa Sri features 17-inch alloy wheels, body-colour sports front lower spoiler, side sill, rear lower skirt and rear spoiler, sports suspension, air con, sport pedals and progressive rate variable ratio speed-sensitive power steering. The 2014 new Vauxhall Corsa SXi features 16-inch alloy wheels, front fog lights, dark-style headlights and tail lights, sports-style front seats, sports instruments, leather-covered sports steering wheel, 60/40 split-folding rear seats, rear tinted windows, chrome-effect exhaust tailpipe and cruise control.